After a year-long student campaign against ethnic segregation, officials in Bosnia halted the opening of a separate high school for Bosnian Muslim students. 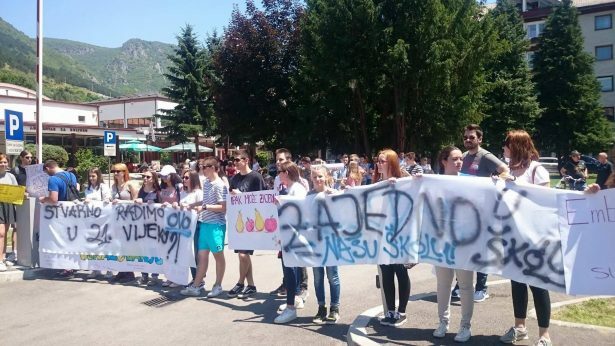 After a year-long student campaign against ethnic segregation, government officials in the central Bosnian town of Jajce agreed to halt the opening of a separate high school for Bosnian Muslim, or Bosniak, students. “They wanted to divide us, to make us believe we are not the same, but we are more clever than them,” said 15-year-old Refik Heganović after the announcement. The new high school would have extended a system of ethnic segregation from Jajce’s primary schools into the high schools. Local political leaders of the Bošniak-majority Party of Democratic Action, or SDA, announced the initiative last summer, promoting the new school as a way to ensure that Bošniak students can learn from their own national curriculum. Both of Jajce’s high schools at the time followed the Croat national curricula; all students learned the geography and history aligned with Croatian political narratives, and the high school diplomas were marked with a controversial Croat nationalist symbol, leading many to deem the current system discriminatory against Bošniak pupils. When the school was announced last July, students began organizing resistance to the proposal. A small group of students organized a march through the town center, displaying the flags of Croatia, Serbia, and Bosnia and Herzegovina to represent unity between the town’s three main ethno-national groups. They gained widespread attention from domestic and foreign media, as well as support from influential figures in the international community who applied pressure on local government officials not to open the school. In August, the local assembly in the Central Bosnian Canton postponed its plan to establish the separate school during the 2016-2017 school year. It seemed the protest had been a success, but the students knew better: they predicted it was only a matter of time before the politicians would attempt the plan again. The new school would promote the interests of nationalist political parties, allowing the SDA to hire its loyal members to be the staff and administration. 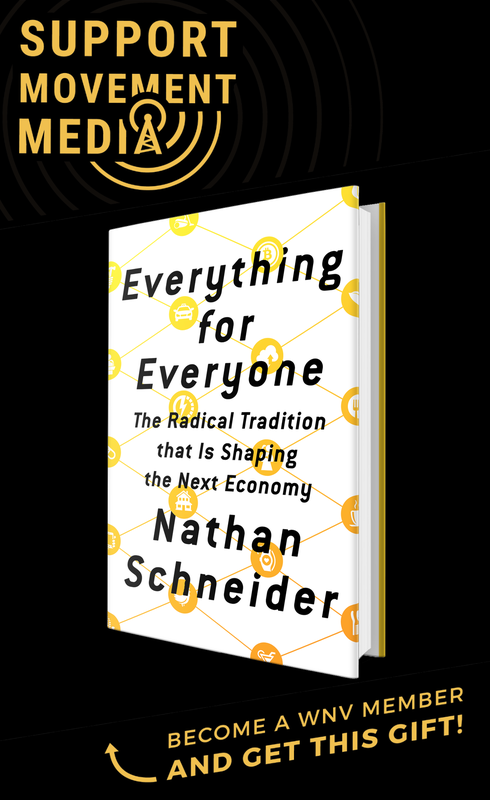 Students criticized the new school as a political ploy to keep them divided and thus more susceptible to nationalist manipulation. As the students expected, in March 2017 cantonal officials announced they had adopted measures to open the new high school the coming year, and had already begun hiring teachers and administrative staff. To justify the new school, local SDA officials cited a petition signed by 500 parents of Bosniak students who allegedly supported sending their children to the new school. Students responded on March 27 by walking out of classes and staging a protest outside their school. They were joined this time by several teachers, who risked disciplinary action for standing with the students. Many students also faced harsh consequences at home by disobeying their parents to participate. Some were ostracized by their peers, or dumped by their girlfriend or boyfriend, for their involvement in resisting the new school. As the government’s plans for the school moved forward, opposition to the plan only grew stronger. Support started coming from students around the country, where 54 schools in three cantons of the federation remain ethnically segregated today. A hashtag, #škzjdn, which is shorthand for škola zajedno or “school together,” sprung up on Twitter and Facebook. 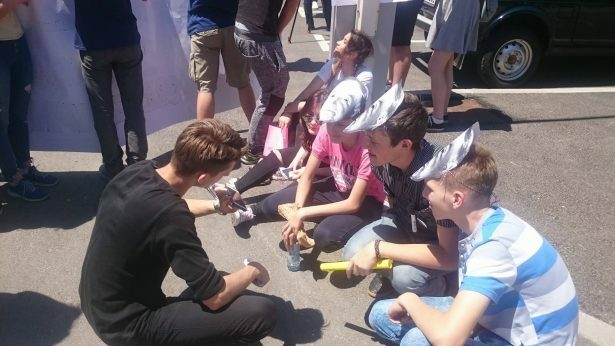 One group of students attending ethnically-divided schools in Mostar staged a street theater show in support of the students in Jajce. Several prominent figures, from comedians to popular rappers, expressed support for the students online. A community initiative called Bolja Škola, or Better School, applied pressure locally, by organizing events and circulating a petition promoting a new integrated educational curriculum that would accommodate students of all ethnic backgrounds. In June, the date drew nearer when parents would decide to enroll their children in the new school. For many of the students and teachers, it remained unclear whether their efforts would have any impact. Summer vacation was about to start, and it would be harder to organize students over the break. The students planned to stage one final action before the end of the school year, this time incorporating students from all around Bosnia and Herzegovina and organized with support from a group called Naša Škola, or Our School, formed by several youth NGOs to pressure for desegregation. 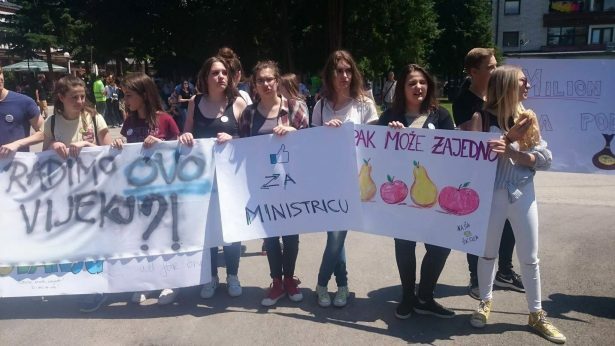 Students planned to rally in front of the cantonal Ministry of Education in Travnik to apply pressure directly to the governmental officials pushing for the new school. Then, to everyone’s surprise, on June 18 the cantonal Minister of Education Katica Čerkez announced they were abandoning the plans to establish the new school. More than maintaining the status quo, however, the announcement declared that Bošniak students would be able to study the Bošniak national curriculum for history and geography classes, and that the nationalist Croat symbol could be removed from the school’s diplomas at students’ request. The protest in Travnik turned into a massive victory rally; students from around the country cheered when the students from Jajce arrived. Students from other towns around Bosnia and Herzegovina, now heartened from seeing their ability to affect change on their divided education system, say this is just the beginning of a much larger fight to end ethnic segregation in their country. Adna Sokolovic, a student leader of Naša Škola, said the group hopes to continue applying pressure to dismantle segregation in other communities like Jajce, focusing their energies on the cantonal Ministries of Education, which was an integral part of the strategy in Jajce’s success story. The students also plan to organize a workshop this summer with different stakeholders to discuss their plans moving forward. Despite the crucial role of international organizations’ support for the students’ campaign, like the OSCE and Office of the High Representative, activists like Marko Barisic say it is important to remember that the international community played a role in helping nationalist politicians create the “Two Schools Under One Roof” segregation policy in the first place, after the end of the Bosnian War. “We, the youngsters of that country who have been terribly affected by those decisions, call for the international community to fix their past mistakes and finally cooperate with all those who want to make BH be a welcoming place for everyone!” Bariscic wrote on Facebook. Bravo students! The world has a lot to learn from you. Keep up the good work. How inspiring to see the young generation turn its back on nationalism!! Way to go! The spirit of Yugoslavia is alive! This was a positive lesson for all people, not just Bieniek students, around the world being threatened with discrimination. People can take positive, non-violent steps to cause positive change, inspite of the American and British steps in the opposite direction recently.